Beaufort, North Carolina possesses an old-world, southern charm, steeped in maritime history and the adventure brought by its proximity to the Atlantic Ocean. Beaufort is a town in and the county seat of Carteret County, North Carolina, United States. It is the third-oldest town in North Carolina. In April 2013, Beaufort was named one of “America’s 10 Most Beautiful Hidden Gems” by Budget Travel magazine. Beaufort was ranked as “Coolest Small Town in America” by readers of Budget Travel magazine. 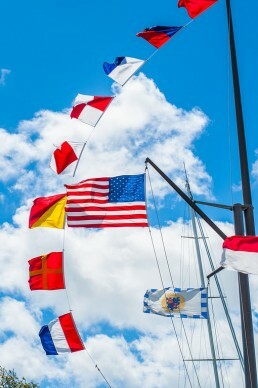 Yachting magazine named Beaufort, the “Best Yachting Town 2012”. Beaufort was also named one of the “10 Great Coastal Boardwalks” by Coastal Living magazine. Plan a trip to Beaufort, North Carolina where you’ll find distinctive shopping, great dining and overnight accommodations in our historic inns. We look forward to seeing you on one of our Waterbug Tours during your stay on the Crystal Coast of North Carolina! Visit us today to experience the Waterbug Nature tour!